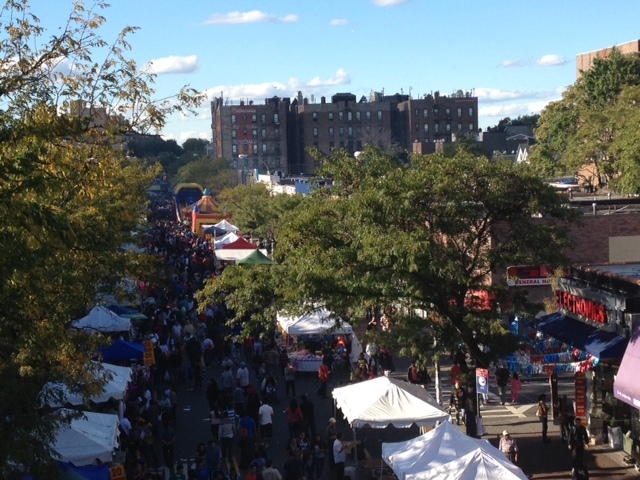 About 30,000 people, mostly of Hispanic heritage filled several blocks of Junction Boulevard in Elmhurst, Queens on Sunday celebrating good food, entertainment—and good health. The annual Queens Family Health Festival was organized by Save Latin America in partnership with the Dominican American Society of Elmhurst. Io Ortiz, special events and press coordinator for Save Latin America said the idea behind the event was to bring people together and increase awareness about health concerns, such as high blood pressure and diabetes. Many undocumented immigrants in Elmhurst say they are worried about what could happen once President Barack Obama’s healthcare law takes effect. The healthcare reform requires all U.S. citizens and permanent residents to obtain health insurance, either through the government-run Medicaid program for the poor, or by purchasing private insurance via state exchanges starting in 2014. It also prevents undocumented immigrants from participating. As more low-income citizens receive insurance, the fear is that many of the estimated 12 million undocumented immigrants will be easier to identify just because they lack coverage. 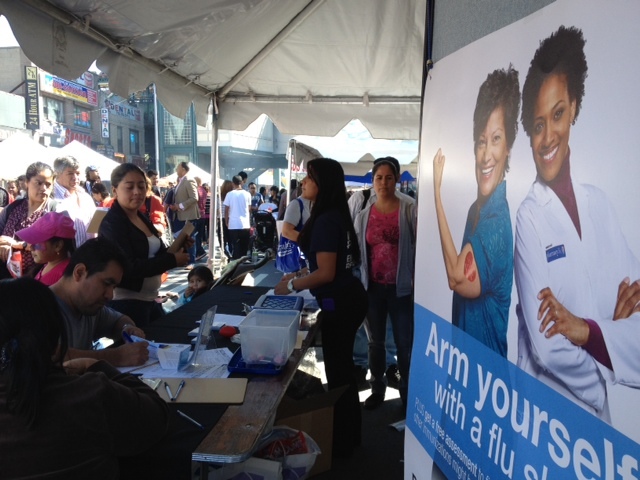 The services provided at Sunday’s festival included free blood pressure, cholesterol and diabetes checkups, vision screenings and flu shots. Quito moved to the United States from Ecuador with his wife and two young boys in 2005. He was reluctant to disclose his immigration status, but said he believes access to healthcare should be universal. “I am human. I will get sick. I need to be able to take care of myself and my family the best I can. I need to be healthy for them,” he said. After the flu shot, Quito and his family moved from one health services table to the next, where they were greeted by an eager healthcare services provider or healthcare professional. Chris Carrasco, a representative with Access Medicare spoke to the Quito for several minutes in Spanish, explaining the importance of being aware of health services. “Unfortunately people don’t give it much thought until it’s too late or until they need to,” Carrasco said. Healthcare reform, particularly with its consequences for illegal immigrants, has been a hot button issue in the presidential race. Under presidential candidate Mitt Romney’s plan, the government would reimburse health providers who care for the poor, regardless of whether they’re in the country illegally. President Obama’s health plan provides grants to community health centers, which also treats anyone who can’t afford to pay for health care. Neither law, however, provides any form of insurance coverage to undocumented people.